Websites have become one of the most important online assets a company can own. Even small businesses with brick-and-mortar stores must have a website to establish an online presence. To people who haven’t owned a website before, this can be an intimidating prospect. You don’t need technical know-how and expertise to launch a great website. The process is much easier and reliable now. This article provides a detailed, step-by-step guide on how to launch a new website. The first and most important step in a website launching process is to find the right developer for the job. A good developer doesn’t just create a brand-accurate site, but they also help build a relatively future-proof platform. Consult with you to understand all your requirements and preferences. They will also take the time to understand your industry, company, competitors, and customers. Create a site that represents your brand well. If the website and your brand image don’t go hand-in-hand, your company can experience the consequences. A disconnect between brand and website shows a lack of consistency. Make sure the site is optimized for search engines. If the SEO isn’t implemented properly, your website won’t rank high enough on the search engine results pages. Make sure the website is suitable for the mobile platform. Around 60% of all organic search volume comes from mobile phones and that will only increase over time. Optimizing for this platform is important. Develop a secure and well-structured website that provides the great user experience. Professionals will make sure the website is easy to navigate and has the SSL certificate. Hire a website developer based on their portfolio, experience in the industry, and level of communication. These developers will also help you with website maintenance and troubleshooting in the future. That is an important aspect of running such a platform. Choose the right platform – This is one of the first questions you will encounter; WordPress.org, Wix, Drupal, Joomla, or something else? Most people are inclined to choose WordPress because it is the most popular platform with around 60% of the websites based on it. It is still important to consider this question carefully because some platforms are great for media websites while others are ideal for e-commerce platforms. Domain Name – This is another important aspect of the website and it is one of the most influential decisions you can make. The domain name should be relevant to your brand and easy to recognize. You can also incorporate keywords into the URL for best results. Hosting Service – Do you want your website to become slow in high-traffic, crash during sales, and underperform in the long run? Probably not. That’s why you need a good hosting service. Choose one based on its speed, flexibility, reliability, and scalability. Look at Your Old Website – If you have a current website, conduct a thorough audit of it. That will let you know what works and what doesn’t work for your target audience. You can take the lessons learned from this audit to optimize your new website. Let People Know – Before you launch a website, let people know. You can create hype among your existing customers by offering sales and special services for the launch. You can create a special page on your current website or announce the new launch on social media. These steps will ensure your website launch has a good foundation. Your audience will be primed and ready for the launch, which will draw traffic to it immediately. Make sure the website is usable and mobile-friendly before the launch. Redirects – Set up 301 redirects on your old website to direct users immediately to your new platform. Without the 301 redirects, the visitors will keep coming to your old address and will have to manually seek out the new one. That has an impact on user experience. 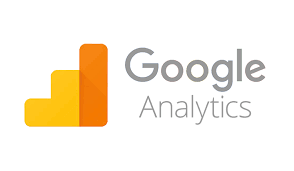 Set Up Google Analytics – Many new website owners forget to set up their new address on Google Search Console. This means their sitemap isn’t loaded and Google hasn’t indexed the pages. You lose the analytics data as well the search traffic because the system isn’t set up when the traffic is most active. Keep An Eye Out for Crashes – If you’ve generated enough hype, your website will experience a surge of traffic on launch day. This can lead to crashes and that will have an impact on the visitor’s user experience. That’s why it is important to keep an eye out for the crashes and ensure there are no disruptions. Set Up PPC Ads – Set up PPC ad campaigns immediately after launch. This will bring more traffic to your website. PPC ads are especially crucial for website owners who are just starting and don’t have an established online reputation. PPC ads will generate the visibility you need until SEO campaigns catch up. Once you have completed these steps, your website has launched successfully. It is easy to see more traffic and create conversions. Do a Walk Through – Experience what your website feels and looks like from a visitor’s perspective. Search a keyword or your brand name on Google, enter your website and explore the pages. You should do this on both the mobile and desktop platform. This will help you identify problems and remedy them quickly. 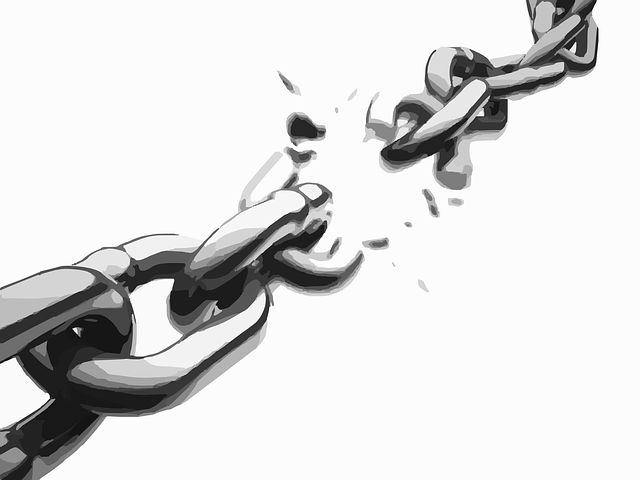 Check for Broken Links – The next step is to conduct a thorough investigation of your website links. Broken links can compromise user experience and affect your reputation. There are many tools available online to help you check your website for broken links. Check Website Speed – Modern search users expect a website to load in less than 3 seconds. They’re not willing to wait 10 to 20 seconds for a page to load completely, which is why it is important to keep checking website speeds. Poor speed will affect user experience and increase the bounce rate. Claim Your Business – Claiming your business through Google My Business will help you establish authority in the local sphere. Make sure all your contact information like phone number and address are accurate. You should also your business location is displayed accurately in Maps. This might help your business show up in Google’s Local 3-Pack. This post-launch check will help you understand whether the website is functioning well. Without this check, you won’t know if the site is ready to deliver a user-friendly experience. Conduct regular analytics on your pages to ensure all aspects of your website are functioning well. Keep an eye out for things like high-bounce rates, low sessions, and low conversion rates. Upgrade the website CMS regularly. Platforms like WordPress will release new upgrades to make the framework more secure. Don’t neglect these upgrades because your website will be vulnerable to hackers. Check the website rankings on your high-performing keywords. This allows you to keep track of SEO and make sure your website is still visible. If your site experiences problems, call an expert to fix it immediately. The more you delay, the more traffic you will lose. On-going maintenance is the best way to ensure your website performs well at all times. If you follow the steps mentioned above, you’ll launch a great website effectively. Following an organized process can help reduce the uncertainty involved. It can also ensure there are fewer delays and errors to worry about.